Tobacco use accounts for almost half a million deaths annually. It is the second leading cause of cardiovascular disease. Smoking and chewing tobacco causes coronary heart disease, cancer, strokes, and chronic obstructive pulmonary disorder, COPD. It is also linked to your reproductive health and can cause infertility. 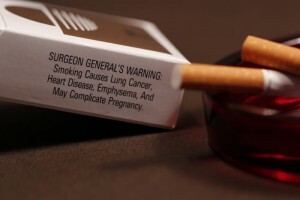 Tobacco related cardiovascular disease is caused by damage to your blood vessels. The damage allows for an excess build-up of plaque in the arteries. This can lead to heart attacks and abnormal arrhythmias. In some cases, it can even lead to death. Plaque build-up in the arteries is known as atherosclerosis. Chewing tobacco more than doubles your risk for a heart attack according to the World Heart Federation. Smoking tobacco causes your arteries to harden, reduces your circulation and increases the tendency of the formation of blood clots. Quitting smoking now is the best way to avoid and in some cases reverse some of the damage to your body. 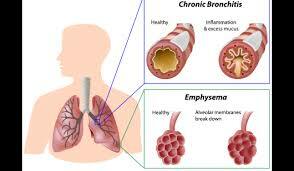 There is no cure for COPD but quitting can stop the progression of the disease. The impact of quitting begins almost immediately. As soon as 20 minutes after blood pressure and pulse return to normal and your circulation improves. After 72 hours it can become easier to breathe. 5 years after quitting the risk of a heart attack is cut in half. Being tobacco free for 15 years the risk of cardiovascular disease is almost the same as if you had never smoked! For more information on the milestones of living tobacco free visit the World Heart Federation.